For Father's Day, I sent my dad a wine making kit from ManCrates.com. The kit that I purchased for my dad doesn't seem to be available online any longer, but they have tons of other great ideas/"crates" for the men in your life. For a little creative side-project, I decided that it would be fun to design a customized wine label to put on the 5 bottles of wine the kit will produce. 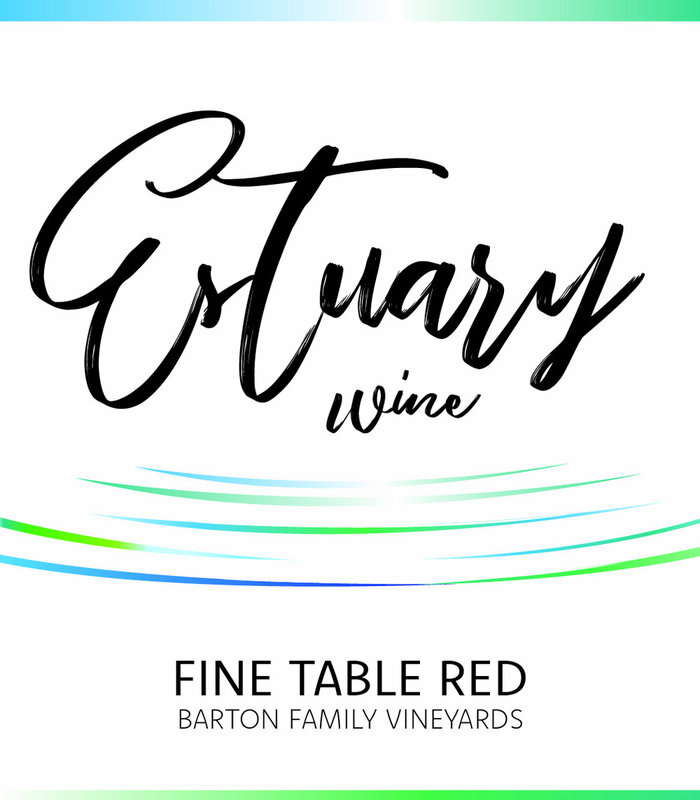 I decided to call my family's wine "Estuary Wine" because they live on a river that leads out to the Chesapeake Bay in Virginia. 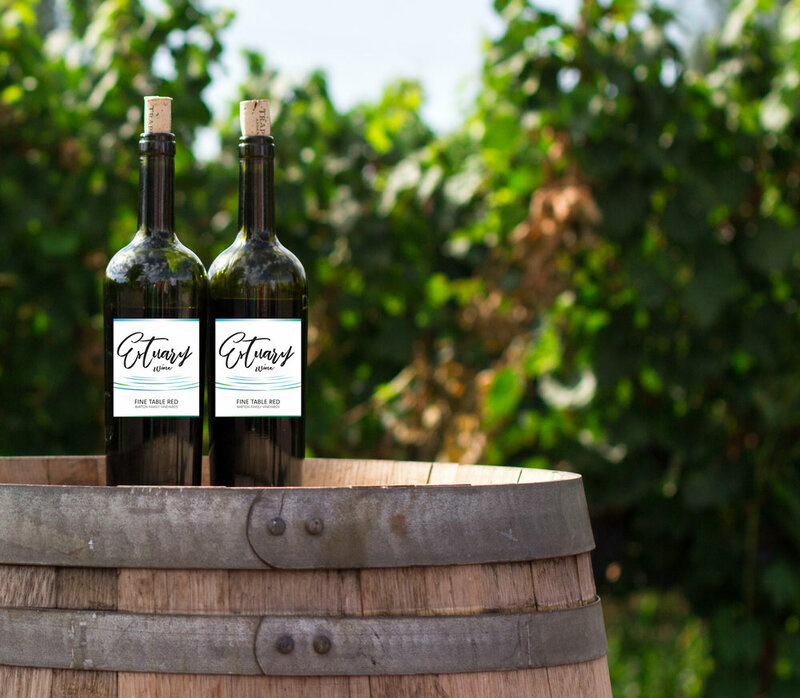 Below is the label and different mock-ups of how it would look on a bottle and customized etched wine glasses.